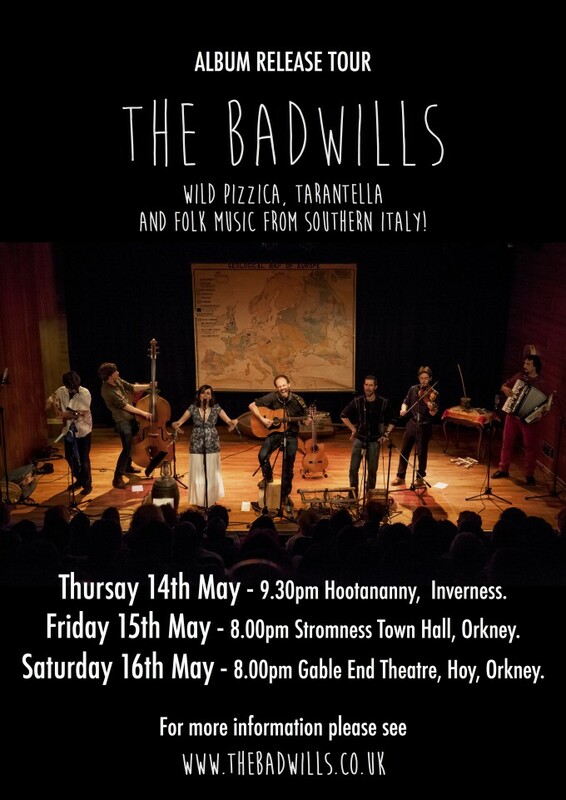 To celebrate the release of our new album we are hitting the road this month and bringing our Scottish tinged southern Italian folk music to Inverness and Orkney! We will be playing shows between the Thursday 14th and Saturday16th of May at the venues listed below. Come along and join us! Tell your pals! Balliamo tutti quanti! The Gable End Theatre, Hoy, Orkney. £10 / £1 Accompanied under 16s. Tickets available on the night. Licensed bar from 7.00pm. Music from 8.00pm See. Gable End Theatre for more information.